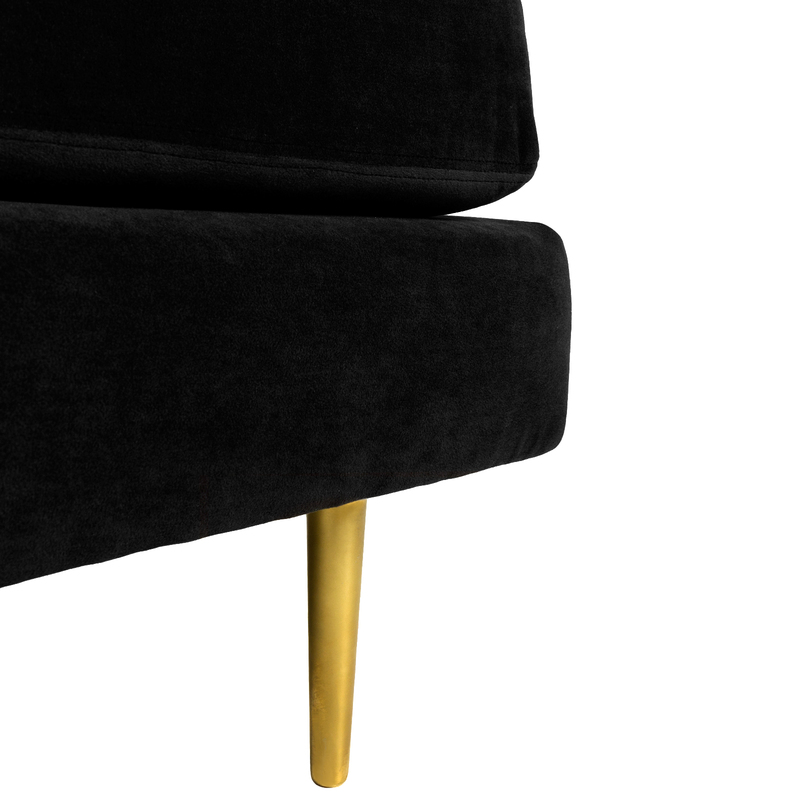 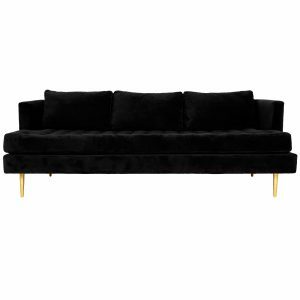 Tags: velvet, tufted, Dunbar, modern, sofa, Gold, mid century, Sofas, Black. 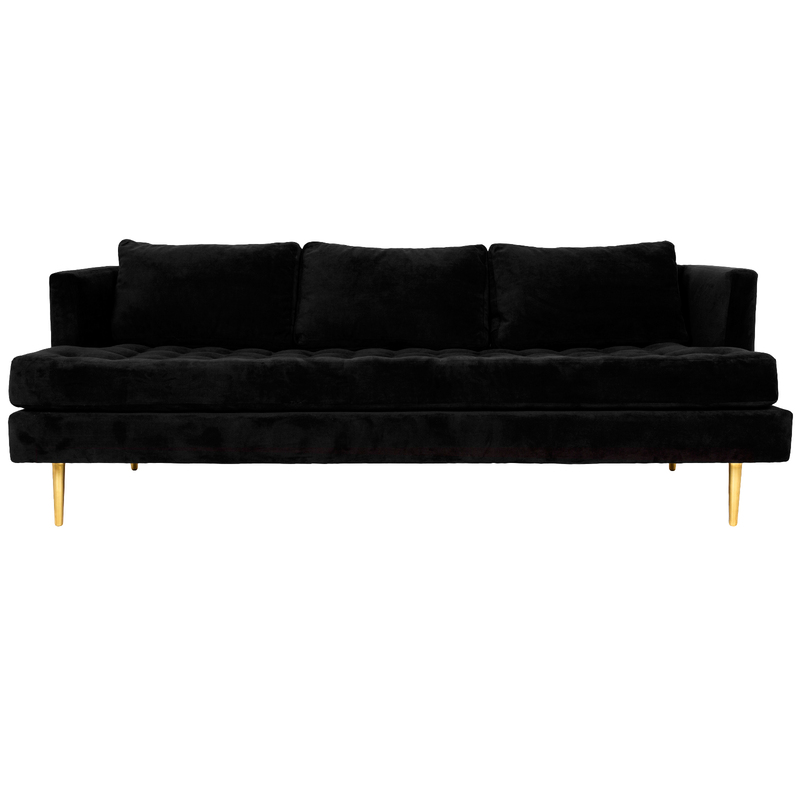 The Dunbar Style Sofa has a tufted velvet seat with gold tapered legs designed by Dunbar. 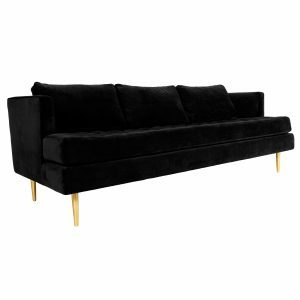 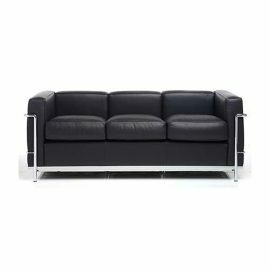 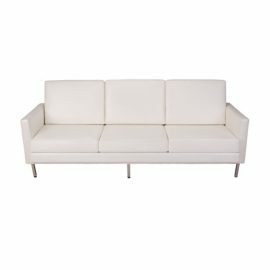 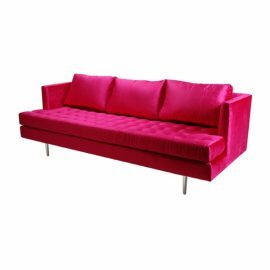 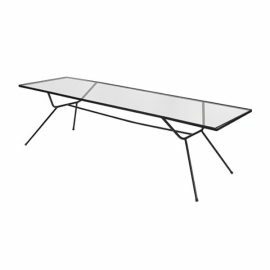 This sofa will make a great choice for any modern or mid-century design.